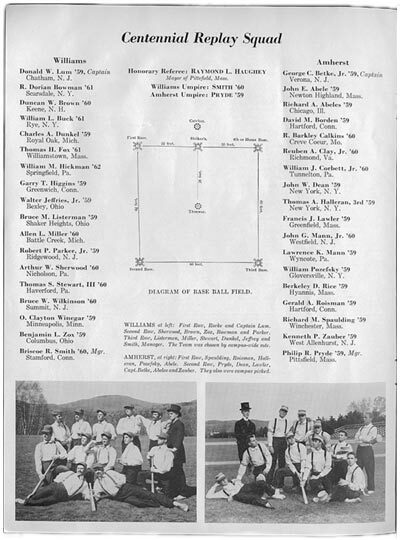 The rosters for the teams from Amherst and Williams that replayed the centennial game, decked out in period garb. Also included is a diagram of the positions played in the Massachusetts rules version of the game, with the bases set in a square shape as opposed to the New York rules' diamond. The batter, or "striker," stood in between first and "fourth or home base" when batting.